Cloudy is one spoilt puppy! 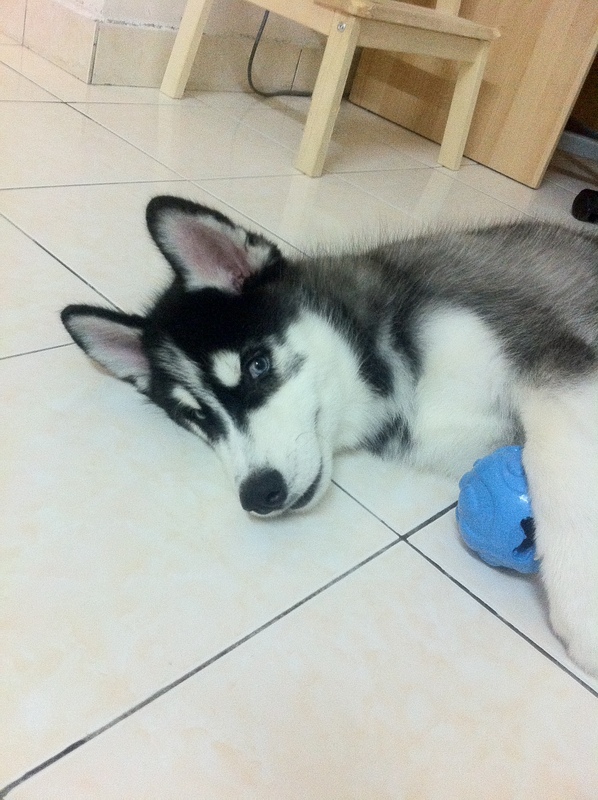 He’s easily bored and when he does, he’ll start his biting and destroying habit. As a husky mama (or husky owner) you’d know how destructive they can be! Looking for an affordable and durable toys / treats has then become my primary online searching habit recently. Weight is 420g. 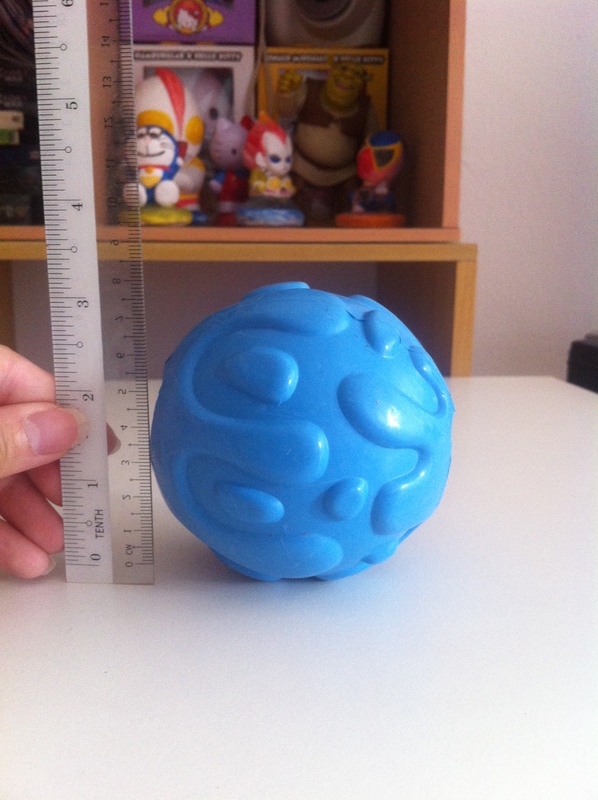 This is the Large size which is suitable for medium and large breed dog. Now if you’d ask what’s a treat dispenser toy? 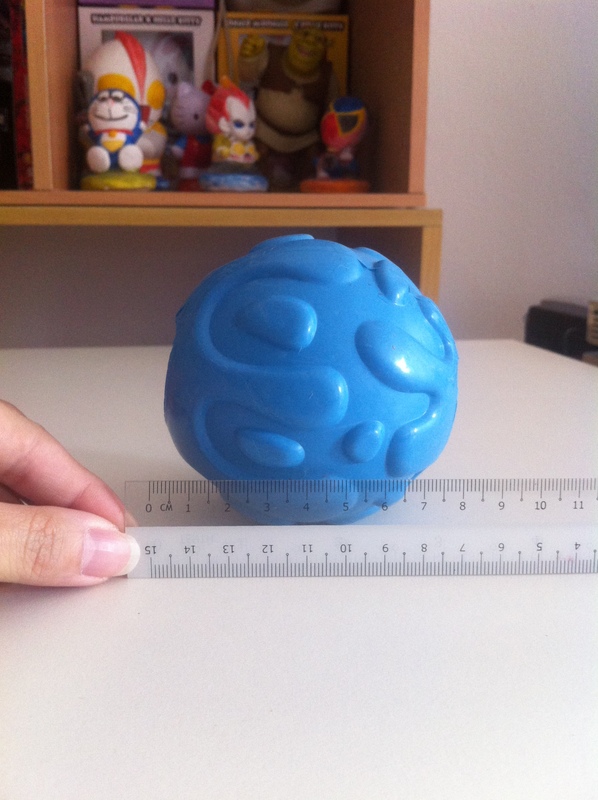 It’s a ball that you can stuff some small bite-sized treat inside. Dogs in general would love it as it can stimulate their brain senses and they’d try to sniff and bite in order to make the treats inside roll out. 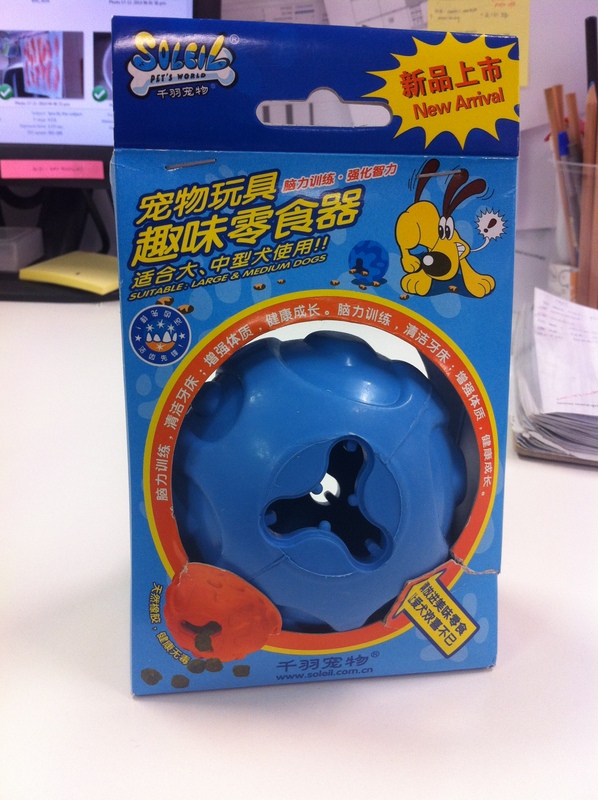 I have read many article of this type of toy on how it can reduce separation anxiety, biting habit and eating habit. 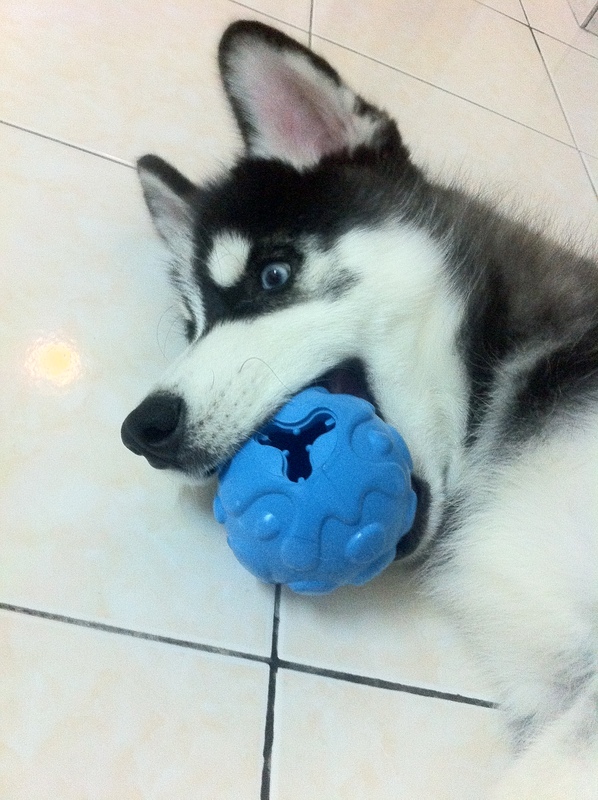 At first, Cloudy thought it was just a bouncing ball when I introduce it to him. I didn’t stuff in anything so his attention span to it (like any other toys) is short. 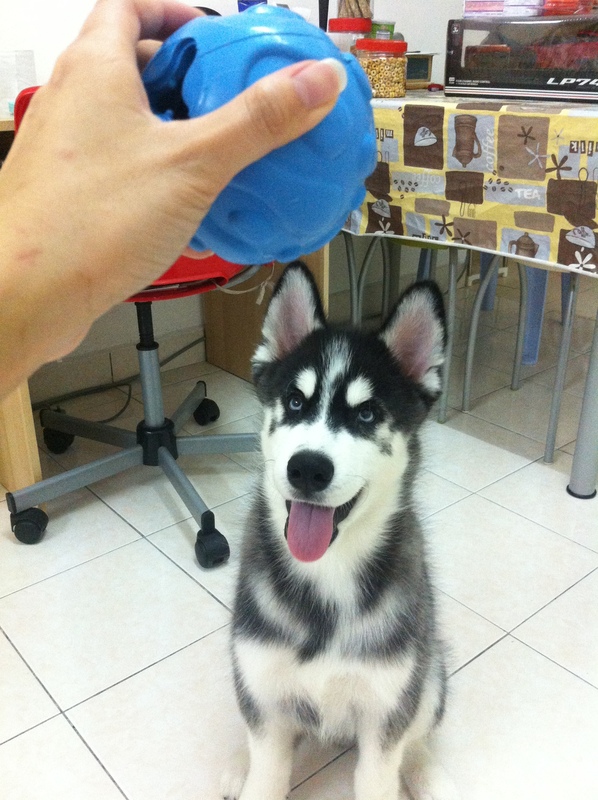 But once I stuff in some food… he absolutely look forward to it! 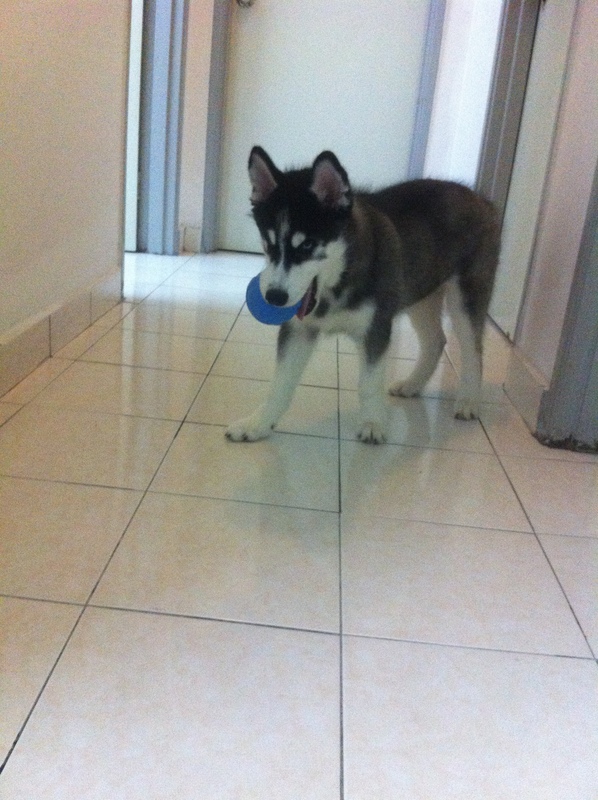 I’ve only got this like less than a day… and I, myself already fall in love letting him play this. 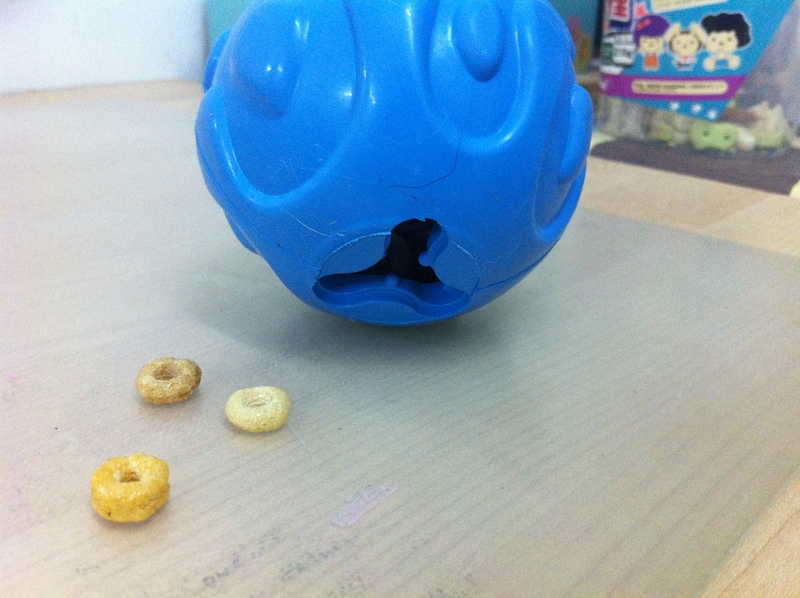 After I introduce the toy without treats, I stuff in some of his favourites… CHEERIOS! (yes, I gave Cloudy cheerios cereals, but not often. Just occasionally a little bit) and then the 2nd round, I put in some of his dog kibbles. That’s when Cloudy got excited with it! I took a video of him playing as well.. It was so much fun watching him play. 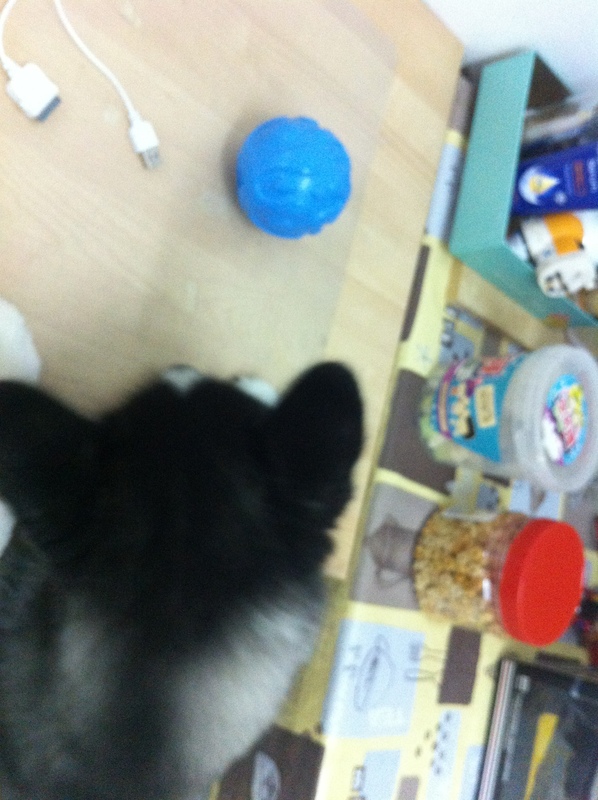 It really divert his attention, while I do cleaning to his toilet area. It’s the first time he didn’t bother to chase my sweeper…. Best part it, last night, he even took it to sleep. XD . He bites until he got sleepy and just leave it there. For me, I like the rubber feel and the bouncy feel. 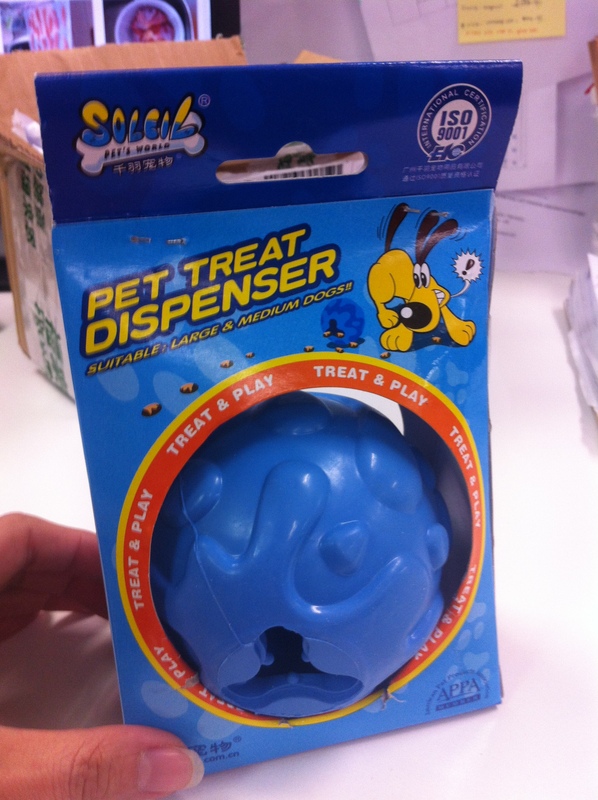 If you don’t want to use it to dispense treats, you can always use to play fetch. This morning before I go to work, I threw the ball a few times and let Cloudy chase it… tire him out so I can skip a day of walking (lazy mama here). Then before I leave, I stuff in some dog kibbles and put it on the floor for him. Turned out, he didn’t bother to send me off the door and he didn’t cry at all. Maybe by the time he realized I was gone lah.